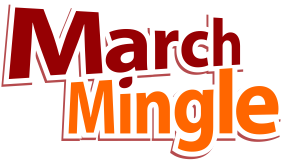 We have a very limited number of tables for non-profits, local bootstrapped startups, and user groups that are interested in participating at March Mingle. These tables are a great way to build awareness about your organization, startup, or user group. The cost is $150 and you may share a table with another startup or user group depending on how many tables we have available. If you have questions, please contact us before signing up. To participate, please apply for a table by filling out the form below. Are you a non-profit, bootstrapped, or user group? Please enter in the custom price agreed upon. We accept checks 5 days prior to March Mingle. Submit your application and we'll send you an invoice. Please enter in your card info. You will receive a receipt from Stripe for your sponsor payment. By checking this box you agree to pay the total above. There are no refunds.